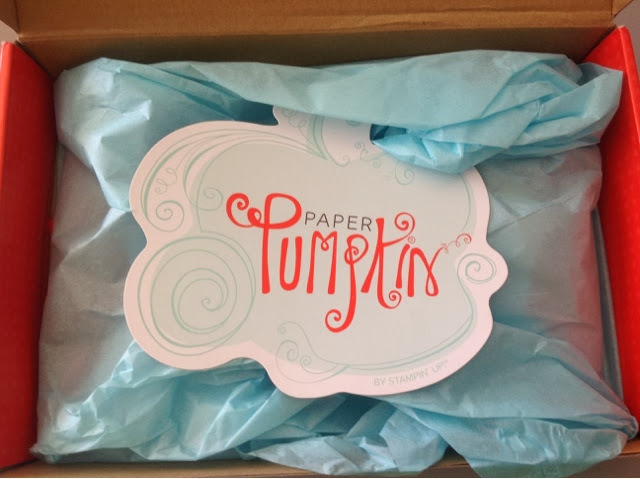 Have you ever wondered what is was like to be a Paper Pumpkin Subscriber? Follow me through this post and you will see what it is like to receive a monthly creative escape delivered right to you door for just $24.95 a month. And see the special offer at the bottom of this post. Limited time offer. Only until February 10, 2014.
say no thank you to this month. Orange box. I am always giddy with delight as I have no idea what is in the box. It's fun to not know. 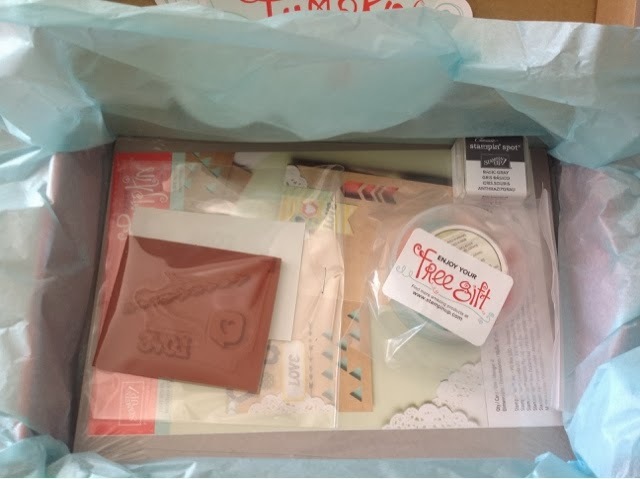 I love the surprise. and it's always wrapped in this pretty blue tissue paper and my excitement is building. 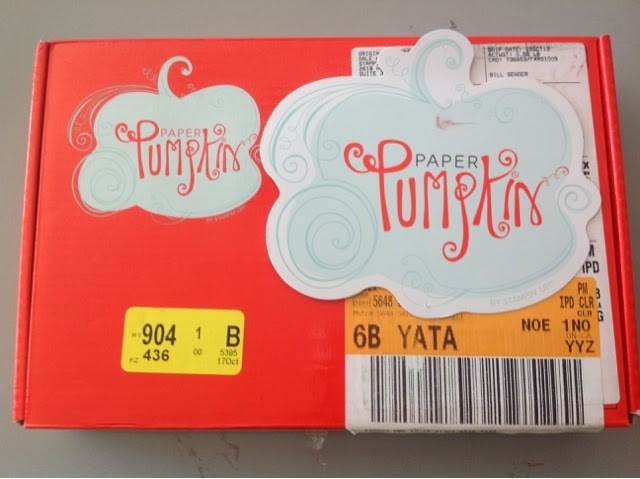 can't buy these things separate from Paper Pumpkin. 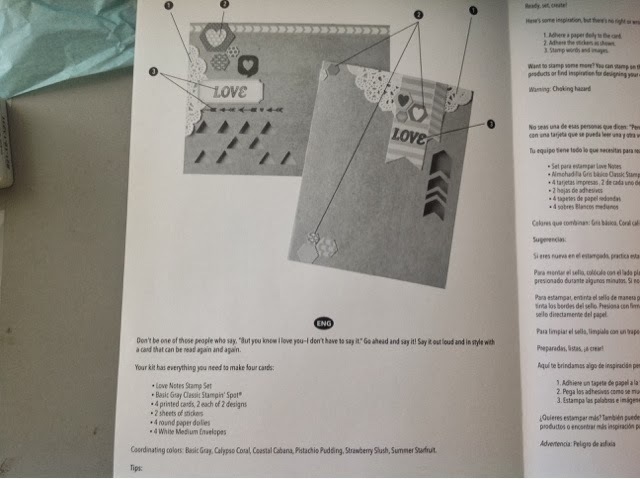 And you can't order a kit after the 10th. by the 10th of the month. 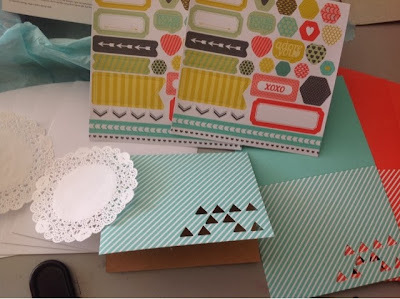 These are the cards I can make using My Paper Pumpkin this month. This month the supplies were for 4 cards with envelopes. But there are lots of stickers and doilies so you can create more. 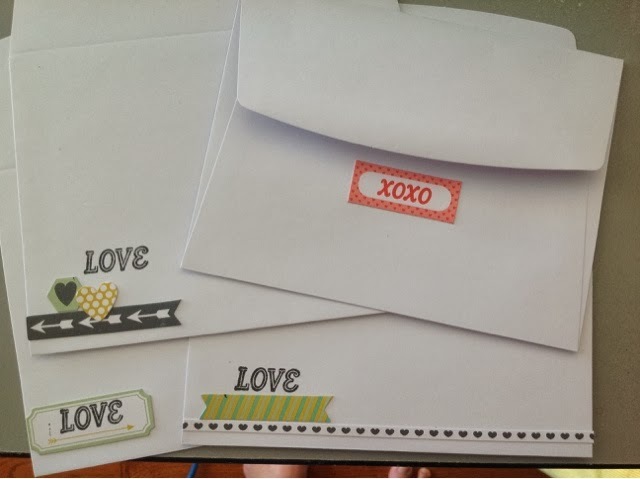 Three more cards I made using some of the leftover supplies and a few of my own supplies. 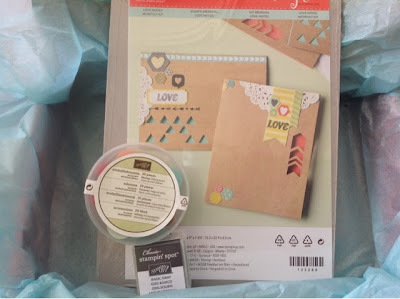 And I still have more stickers and doilies to use. 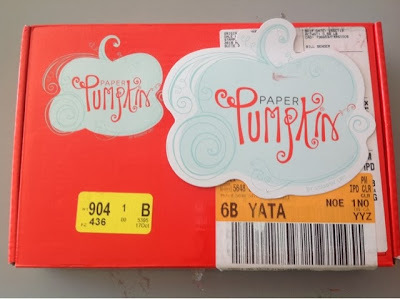 Paper Pumpking is something that you can do in about 30 minutes. It's great to do with a friend or a child. I can't wait to see what's in next months Paper Pumpkin box. If you wish to subscribe to Paper Pumpkin please contact me today. Now through Feb 10, get a FREE set of 2012-2014 In Colour Stampin' Write Markers- a $19.95 value- when you sign up for a NEW Paper Pumpkin membership! What a really neat idea. It's a nice surprise to open up to.